For the longest time, I was a show killer. Do you love a particular TV show? Well, for years, if I loved it, too, it was doomed because, as soon as I started watching it, as soon as I fell in love with the show, its had maybe a year to live before it got canceled. Monday was a bit of crazy around our house, so we missed the two premieres we were waiting for. To be fair, we were going to miss one of them, anyway, since they were both on at 10PM and I was not staying up until midnite…not on a school night. Warning: there will be some mild spoilers in this post. I liked it fine. It’s a tie-in, meta-reality, police procedural mystery, and as such, it worked just fine. 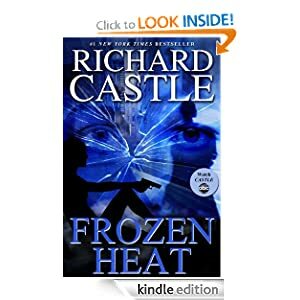 It’s not high art or lasting literature, but it’s a fun read, and filled with all the little “Castle” and “Firefly” jokes that come from this clever and, dare I say, unique confluence of reality and fiction. However, it wasn’t perfect, and through its imperfections, I learned something as a writer.